The Perky-Pet Holly Berry Gilded Chalet features a circular perch that invites birds to feed from all angles. This attractive plastic feeder has a lid with an embossed holly berry pattern to coordinate perfectly with your garden dicor. The rustic gold finish is treated with a UV inhibitor to protect it from the sun and prevent fading. 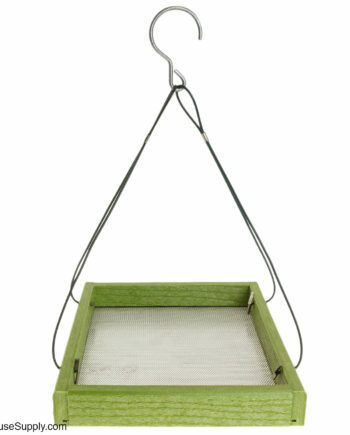 This gorgeous feeder can hold up to 2 lbs. of seed and with its patented Sure-Lock cap system it will reduce your amount of fill times. 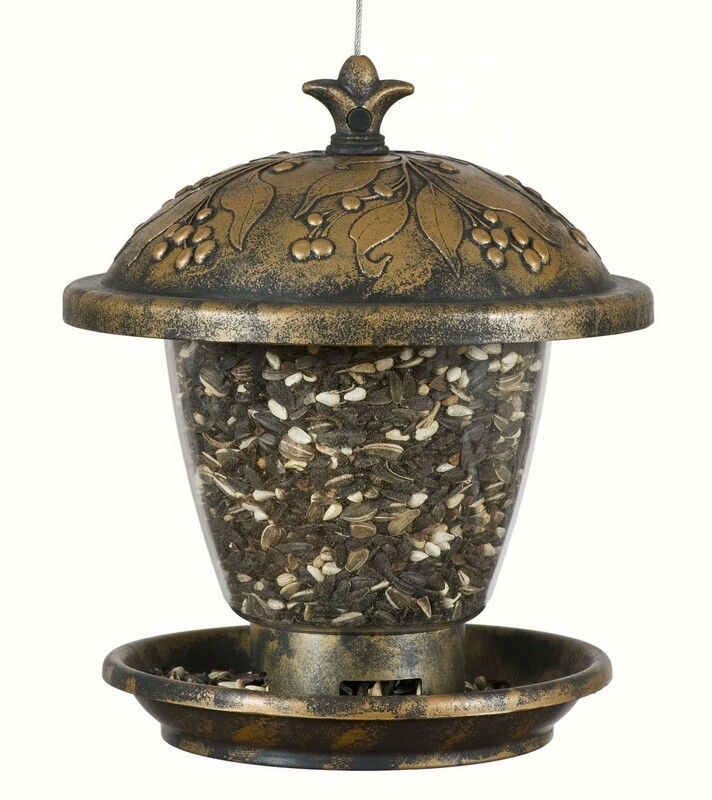 With its unique twist off base it makes cleaning your feeder extremely easy.